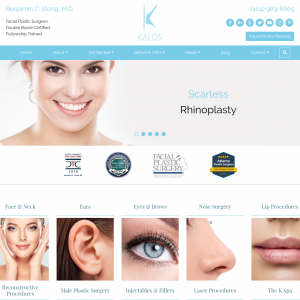 This content has been reviewed for accuracy by Dr. Evan Ransom, San Francisco Facial Plastic Surgeon and Facelift Specialist. Facial plastic surgery offers an opportunity for people to look and feel their best. There are many reasons people consider cosmetic surgery, from wanting to look younger to facial reconstruction after an injury or illness. Advanced methods of plastic surgery can help those wanting to change their facial appearance feel more confident while still retaining their uniqueness. These procedures can be done separately or combined together. Often, a neck and facelift will be combined to improve the lower portion of the face. Brow lifts and eyelid lifts can rejuvenate the eyes and brow arch to change droopy, tired eyes. The goal is to help the patient look more like their younger self while retaining their characteristics. By making slight changes to certain facial features, the overall appearance of the face can be improved. In some cases, the function of a feature may also be improved during the process. For many, facial plastic surgery to alter one or more facial features can help them feel more confident and attractive for a better quality of life. Trauma, congenital birth defects and illness can all change the appearance of the face. Plastic surgery can be used to restore the aesthetics of the face if deformities are present. Many facial reconstruction surgeries must combine form and function. Reconstructing a nose deformed from trauma or cancer requires the breathing aspects to be remedied as well as the appearance. Trauma is a common reason people seek facial reconstruction. 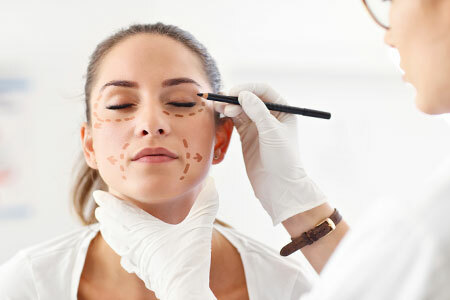 Burns, scars, feature disfigurement, nerve damage and other injuries to the face can greatly impact the appearance and confidence of a person. Facial reconstruction requires complex procedures such as skin, cartilage and bone grafting to restore the structure and shape of the facial features after trauma. Illness and birth defects can also change the face. Skin cancer removal through Mohs surgery can alter the face. However, with plastic reconstruction, the damage can be minimized. Children born with a cleft lip or palate can benefit from reconstructive surgery to help improve the function and form of their mouth. Facial reconstruction through plastic surgery can offer hope for those with deformities caused by disease or birth defects, giving them a renewed appearance and self-confidence. Facial plastic surgery can improve both the appearance and function of the face and features. When completed by a facial plastic surgeon with extensive experience and talent, the results can be life-changing for the patient.